Dr. Niessen began her tenure as Dean, Nova Southeastern University College of Dental Medicine in Fort Lauderdale, Florida in October 2013. Prior to joining Nova, Dr. Niessen served as VP, Chief Clinical Officer for DENTSPLY International and Professor and Chair of the Dept. of Public Health Sciences at Texas A&M University, Baylor College of Dentistry. She has provided clinical care to medically complex patients at VA Medical Centers in Boston and Dallas, TX. 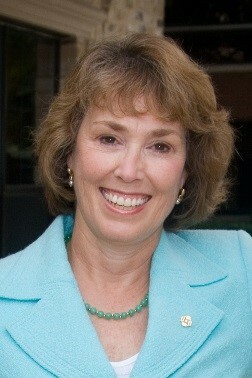 She has authored ~80 publications, numerous chapters and a textbook, Geriatric Dentistry: Aging and Oral Health. She is a diplomat of the American Board of Dental Public Health and the American Board of Special Care Dentistry. She is past President of the American Academy of Public Health Dentistry, American Board of Dental Public Health and Friends of the National Institute of Dental and Craniofacial Research. She currently serves on the US HHS Health Resources and Services Administration Advisory Committee for Training in Primary Care Medicine and Dentistry. Dr. Niessen is a graduate of Harvard University where she received her dental degree (DMD) from the School of Dental Medicine, her public health degree (MPH) from the School of Public Health and Masters in Public Policy (MPP) degree from Harvard’s Kennedy School of Government.